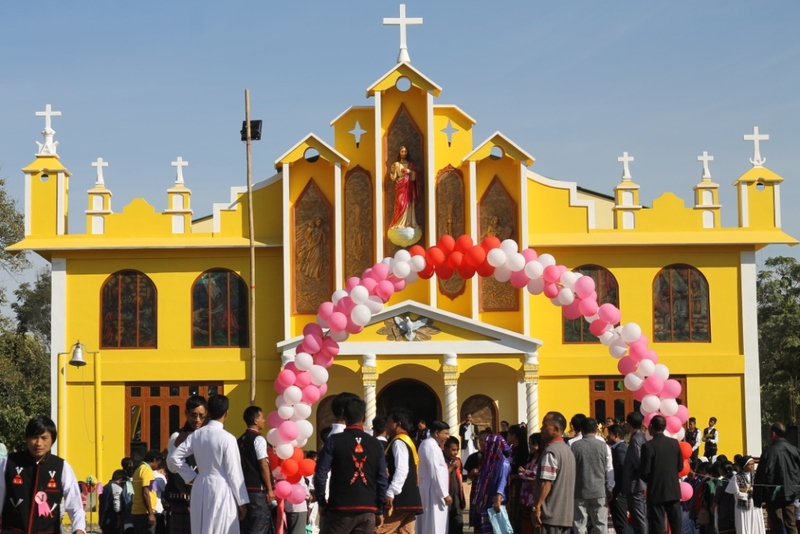 Neotan, one of the last villages of Arunachal Pradesh, bordering Myanmar, witnessed the blessing and inauguration of the biggest Church in the State by Most Rev. Theodore Mascarenhas, the Secretary General of the Catholic Bishops’ Conference of India (CBCI), in the august presence of Most Rev. Joseph Aind, the Bishop of Dibrugarh Diocese, Most Rev. George Pallipparambil, the Bishop of Miao Diocese, Most Rev. Dennis Paniptichai, the Auxiliary Bishop of Miao Diocese, Rev. Fr. 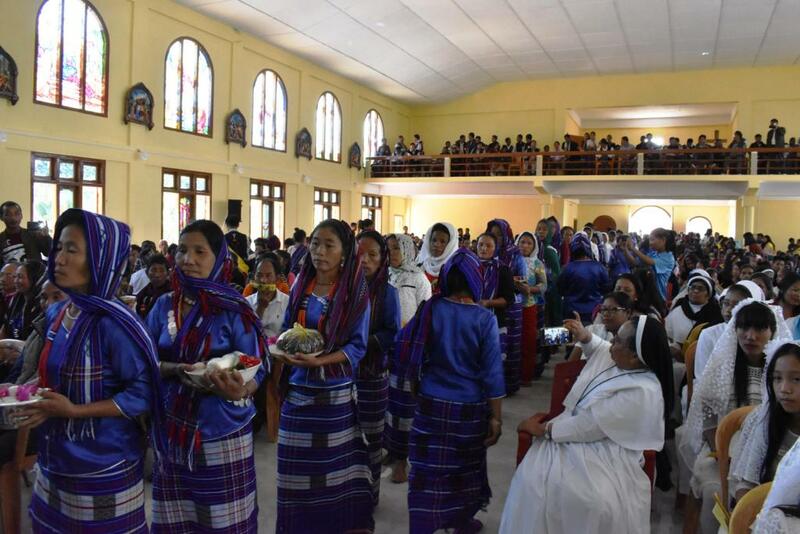 Albert Hemrom, the Coadjutor Bishop-elect of Dibrugarh Diocese and a large gathering of Priests, Nuns and people from across the district. The people of Neotan village celebrated their accepting Catholic Faith 19 years ago on this day with this monumental Sacred Heart Church. Addressing gathering of 2000 people, Bishop Mascarenhas, the CBCI Secretary General said that the message of peace, love, forgiveness preached by Jesus Christ is what is needed most in the world today. “In today’s context of hate, discrimination and polarization, the Gospel message can mend broken relationship and heal broken hearts”, he said. Prior to the inauguration of the Church, the Bishops planted saplings around the Church premise, to stress the importance of conserving and promoting the environment. Bishops Joseph and George who received this village into Catholic Faith 19 years ago congratulated the people for their new Church and appreciated them for all the sacrifices they made to make this Church a reality. The people of the village expressed great happiness over the new Church. 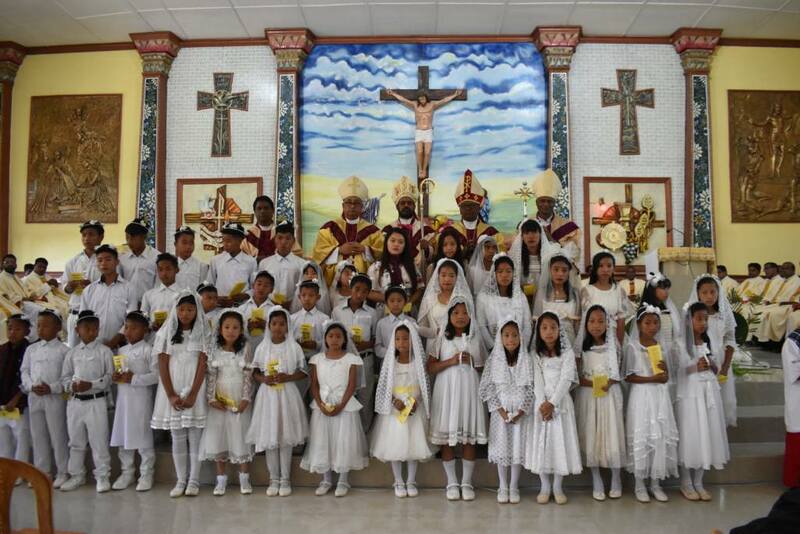 “It is like our dream coming true”, said Mr. Chomjung Mossang, the Catechist of the village Church, echoing the sentiment of the entire village. 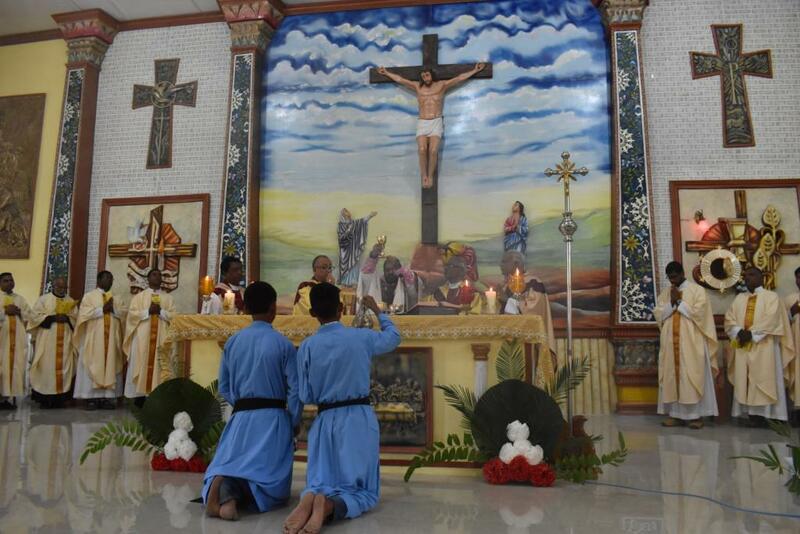 The new Church that took two years to complete is built mostly on people’s sacrifices and local fundraising. It has a seating capacity of 2000 people. 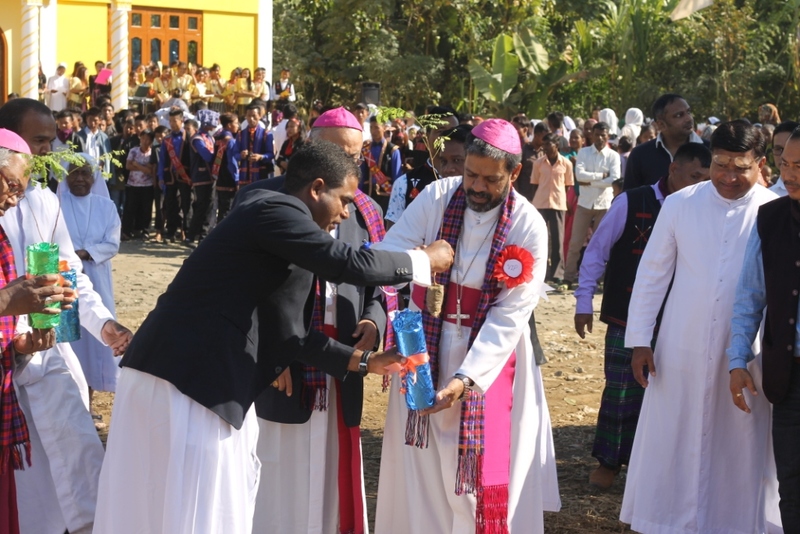 Bishop-elect Hemrom released a Hymn and Mass Prayer booklet in local dialect during the short felicitation programme held at the conclusion of the blessing ceremony.